During 15th to 19th Apr., ABC Machinery will be attending the Canton Faire 2019 in Guangzhou China. At that time, our salesmen and technicians will go to this fair with bringing our complete and rich information materials about our pellet equipment. 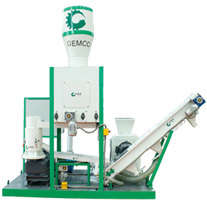 And our featured ZLSP-D 200C pellet making machinery, including feed pellet machine equipped with 6mm diameter die and wood pellet machine equipped with 4mm diameter die will be showed for you in the fair. 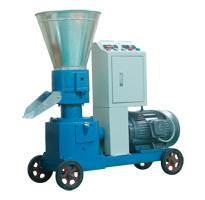 As our featured product, the flat die pellet machine is the most popular around our clients. All kinds of biomass materials like sawdust, straws, stems, peanut shells can be used to produce pellets without any addictives. The density of the finished pellet can reach to 1.1*10³kg/m³, easy to store in a long time. Besides, our featured pellet machine has its own highlights. For producing high quality animal feed, our feed pellet machine is promoted in the structure, thus strengthening the mechanical strength, preventing the phenomenon of machine shell fracture. For making wood pellet better, our technical team has obtained the core technology------ the best compression ratio of pelleting hole, which is very suitable for producing the wood pellet production. All the components of our pellet machine are adopted with the international advanced brands, especially the key parts like die and roller which adopt the quality alloy steel, to make the hardness to be 55-60HRC, prolonging the service time of the machinery. Our pellet machine can be not only in singly, but also can be sued in the wood pellet or feed pellet production line, which is able to be customized by our professional technical team according to your actual situation. Whether you want to use the pellet machine at home or build the pellet production line, please come to our booth to get more information, our personnel will offer you the best and the most professional service. We are waiting for your visit at the Canton Fair!